So, the Avengers: Age of Ultron trailer was meant to appear next Tuesday during the Agents of S.H.I.E.L.D broadcast. However, it would seem that Marvel jumped their own gun. Yup. 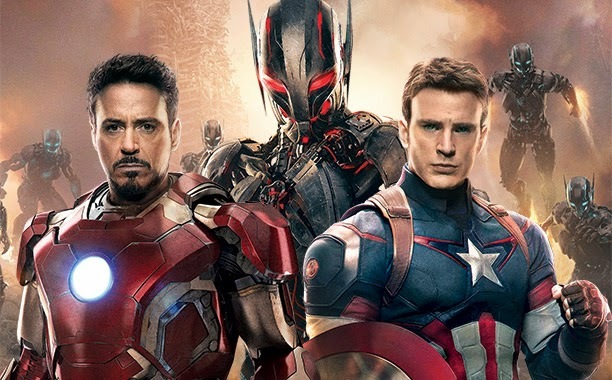 Marvel has released the Age of Ultron trailer rather early to their Youtube channel, so this isn't some "fan made" trailer being mistaken for the real deal. We get a solid look at things that leave strong hints as to what is going to happen when the film is released next May. So, what does this trailer tell us? A LOT! From the way things are looking, the initial aspect of Ultron are based off of either a "glitch" in Tony Stark's Iron Man suit. Possibly the AI? The Hulk is being affected by something. Quicksilver and Scarlet Witch looks to be involved in some way that probably isn't to "positive" to start with. Ultron's "No strings on me" comment really makes it feel as if he is seeking liberation from being "controlled". Breaking beyond being tied to Tony as a computerized "man servant"? Lots of questions that will have to wait until May 2015 to be answered, it would appear.